Kenya has formally put forward its candidate for the position of African Union Commission Chair. The East African country’s President, Uhuru Kenyatta, made the announcement on Thursday. 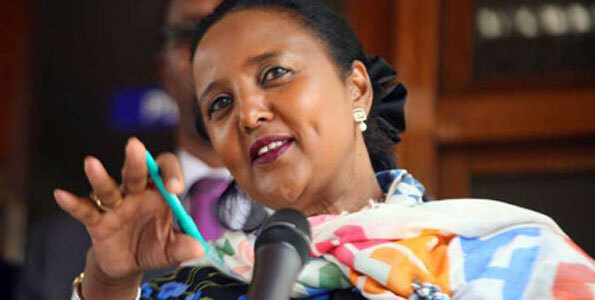 The country’s candidate is the current Foreign Affairs Cabinet Secretary Amina Mohamed. Several envoys were there for Thursday’s announcement. The AU Commission will elect a new chair in January. It could not elect a chair earlier as the previous crop of candidates failed to gain enough votes. Current chair Nkosazana Dlamini-Zuma is due to step down. Kenya’s President has voiced his support for Amina Mohamed, and focused on the role she’s played in taking on national, regional, and continental issues.